WikiLeaks today released around 8,000 pages of documents today, some of which outline CIA programs that appear to detail how the agency can bypass encryption in iPhones, Android phones and even smart televisions. In fact, a raft of devices that are connected to the internet are now potentially in a position where the CIA could bypass their security measures. In what some are describing as the biggest and most important treasure trove of documents to leak since the infamous Snowden leak of 2013, details have also emerged that suggest some of the instant messaging servers previously believed to be secure may also be unable to keep the CIA at bay. Apps such as Signal, WhatsApp and Telegram amongst others are said to be impacted with the CIA’s ability to compromise individual devices allowing the agency to collect data on-device before it is encrypted and transmitted. That is an important fact to note here and worth outlining again – the CIA does not appear (yet) to have cracked the encryption used by these services. This is, of course, something of a case of semantics. Whether the apps or the phones they reside on have been cracked matters not when your information has been spilled across the CIA’s servers, and that is, of course, the crux of the matter here. 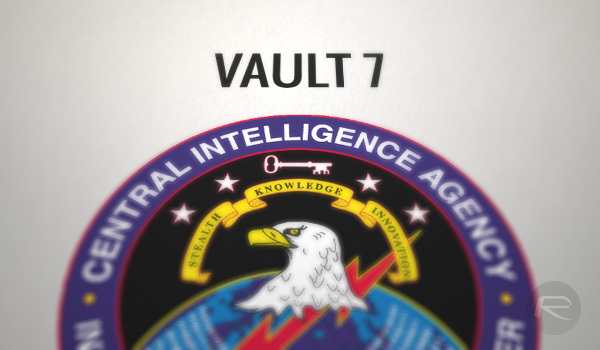 The collection of documents leaked, codenamed “Vault 7,” is “the largest ever publication of confidential documents on the agency,” according to WikiLeaks. The documents also outline malware attacks on all major desktop operating systems, including macOS, Windows and Linux software. Neither Apple nor Google have yet commented on the revelations, though at this point, there is unlikely to be a great deal either company can say to allay fears. not that i’m saying that the CIA would spend time, busting pirates.. but the idea that someone has the power to watch your every move is scary. God bless you, Julian Assange.